Most Post-Apocalyptic games feature a war torn world with a cast of vulnerable humans battling one another while holding back various types of radiated creatures. 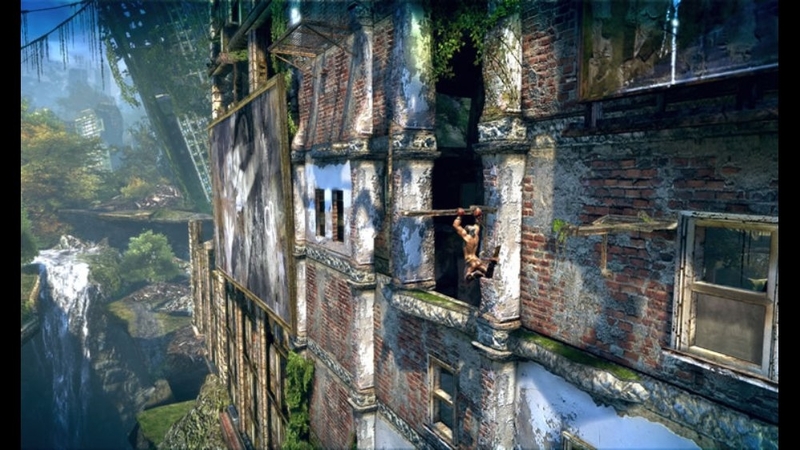 In Enslaved, the end of the world comes from Mechs taking over, but the world is lush and vibrant albeit still full of danger. Monkey is a man who can handle danger, but still managed to find himself captured by a slave ship. It seems his luck is about to run out when Trip, a tech savvy lady manages to escape from her pod and release Monkey's. When they escape from the ship, Monkey finds a new accessory to his attire: A slave headband. In order to get back to her home, Trip enslaves Monkey to protect her across the dangerous wasteland. If she dies, he dies. Not really having a choice, Monkey must aid Trip and battle through hordes of Mechs and other dangers. The story of Enslaved is actually based on an ancient Chinese story titled Journey to the West. Many elements have been changed from the ancient story, but the themes found in the game and original still have some similarities. 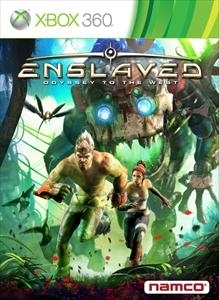 What makes the story of Enslaved great is definitely it's characters. You have Monkey, the strong loner just trying to survive the lush wasteland, Trip the smart and determined lady seeking a way back home to her family, and Pigsy, the comic relief and friend of Trip's family. 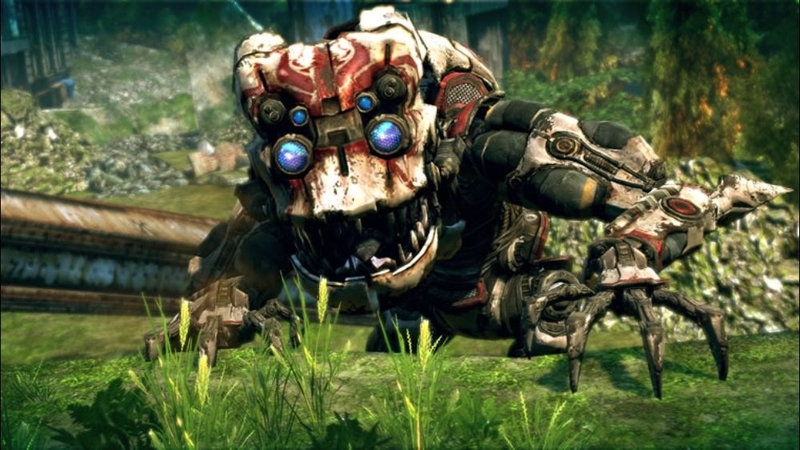 The visuals of the characters are really impressive and you can see emotion in them and anger when attacking the Mechs. It will take you from about 7-12 hours to complete the main story and with many upgrades and great gameplay, you'll be able to back through and really take it to the Mechs with upgraded abilities. Your main focus when controlling Monkey is to utilize his strength and speed and thanks to his staff, you'll be able to take out Mechs from both short and lost distances once you gain more upgrades. 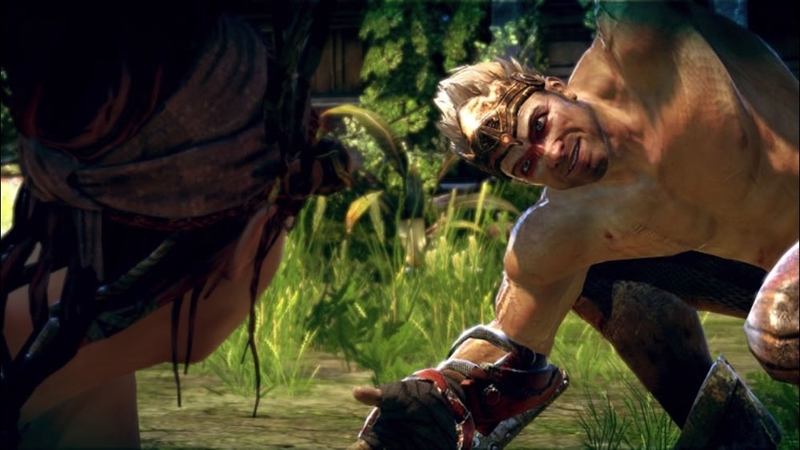 Combat is fluid and fun while also still holding up in the challenge department that Ninja Theory can bring. When you're not destroying Mechs, you'll usually be traversing the wasteland, while keeping an close eye on Trip. If she does get in trouble, you'll usually be alerted to it and able to get to her in time. There are many times in the beginning where you'll have to sneak by or distract Mechs so Trip can get across safely, and Trip can help create a distraction as well. Escorting usually isn't that fun in games, but Trip offers more than usual A.I you need to protect. She's also able to be commanded, so you can tell her to wait behind while you take care of any threats. The Staff is a lot of fun to use, and can also be turned into a projectile weapon. Picking up plasma energy will give you either stun or lethal energy to headshot enemies or temporary stun them when you get a little outnumbered. Enslaved to me is a definition of a sleeper hit. It was well received critically, but was not marketed enough to reach commercial success. You can pick up the game for about $20 or less, and it's one that I would definitely recommend.